Last few years have seen an increase in the demand for cloud-based enterprise applications and one of the biggest trend seen is enterprises moving to cloud hosted HRMS like Workday. No wonder workday has managed to capture around 15% of HRMS market share in a short span of time. Having worked with multiple customers in past helping them in testing and validation across the board for their Workday implementations, we have seen IT teams struggle constantly to get their Workday test strategy right. Be it defining required test coverage for Workday Security Configuration Validation or arranging Key user’s bandwidth for doing UAT. And one activity teams struggle the most with is the time they end up putting (or wasting) in doing regression testing again and again. Any Workday implementation (or rather: Any Successful workday implementation) require continuous testing. 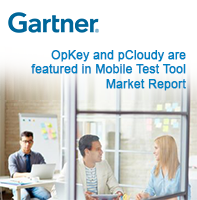 We have seen a lot of people asking the question – “Workday has tested their application. Why should we test it”? The answer is - We are not testing Workday as such but testing our Business process and security roles configurations in Workday. This means we have to test when we configure our required Business processes and security configuration in Workday, we test again when we changetweak them and most importantly we test and certify when Workday does it releases. Now, one option is to do this continuous Workday testing the traditional way i.e. manually. But more and more enterprises are realizing that manual testing for Workday is a huge drag on time and budgets (not to mention Employee morale and productivity). Level of testing required in ensuring a consistent experience across user is best done through Workday Test Automation. And in case you are wondering why you should consider using a Workday Test Accelerator rather than investing in setting up your own test automation team and build test scripts from scratch, consider this stat - Out of 27 HR IT directors we interviewed, 11 said they have tried doing some sort of Workday test automation internally. And only 3 of those 11 said they were confident of achieving RoI within 9-12 months of starting their Workday Test Automation program. Going with a prebuilt automated test accelerator would help you significantly reduce the timeframe to achieve your ROI for Workday automation initiative. In-fact 70% of our Workday customers have been able to show positive RoI within first 3 months of implementing OpKey’s WorkTest. Easy for your business users to maintain. 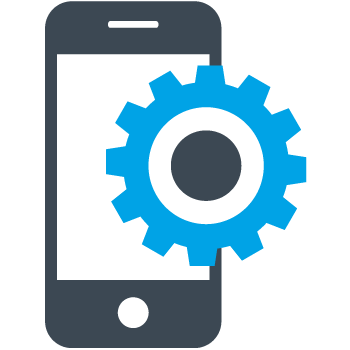 Keep in mind that for your automation initiative to succeed, your business users and functional testers have to be empowered to participate in test automation. Which means they should be able to create test scripts, maintain the tests and use the test accelerator with ease. Possibly works beyond Workday – You would not want your entire automation budget to be spend on just one product in your portfolio. And hence any test accelerator platform should potentially be able to automate your other portfolio applications like Oracle EBS, Salesforce or ServiceNow. HCM business Process Tester: More than 320 Prebuilt automated business components and 90+ Business process across areas Core HCM modules like Recruiting, Talent Management, Time and Absence, Benefits that can be combined or reused by your business users and adapted to your configuration and run with 1000+ data sets. Workday Security Configurator Tester: Automated validation across 100+ security controls for action level and field level validation in Workday to ensure 100% compliance to security process controls.